North Carolinians agree education beyond high school is important, but a traditional four-year degree isn’t the only option people consider, a new poll shows. 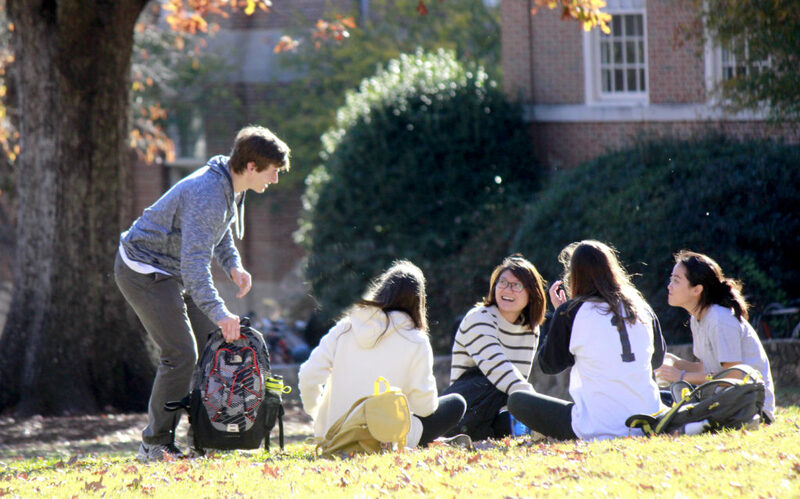 A Nov. 28 Gallup survey commissioned by the My Future NC Commission, a working group to “set a statewide recommendation for post-secondary attainment,” found 94 percent of state residents think it’s important for more adults to complete a degree or certificate program after high school. The poll, which the commission says contradicts national headlines about negativity toward higher education, collected opinions from nearly 3,500 state residents. Topics ranged from early childhood and K-12 schools to community colleges and four-year public and private universities. The survey’s margin of error was plus or minus 2.3 percentage points. On the flipside, 53 percent disagreed that all North Carolinians receive the same quality of education. Forty percent were unhappy with the cost of four-year public universities, and 60 percent were dissatisfied with the price of a private college degree. Seventy-seven percent of those surveyed agreed that community college is a good place to start on a four-year degree in North Carolina. That community colleges are popular among residents is a good sign, said Peter Hans, president of the N.C. Community College System. But there are areas in need of improvement. Course credit transfers and other processes must be streamlined to make things easier for students, he said. The commission is “pleased but not satisfied with what the poll shows,” said commission co-chair and University of North Carolina System President Margaret Spellings, who submitted her resignation to UNC’s governing board last month. Spellings will leave North Carolina Jan. 15 while the commission works to wrap things up. In a Nov. 28 meeting with reporters, she expressed disappointment at leaving before the body fully completes its work.